New Hampshire marked its 20th consecutive month of year-over-year home sale increases in July, The Conway Daily Sun reported August 30, 2013. New Hampshire homes sales increased 23 percent in July compared to July 2013, and the price of homes in the Granite State increased 11 percent in July compared to the previous year. The New Hampshire Association of Realtors provided the data. There were 1,637 residential sales in July, compared with 1,331 in July 2012. July marked the most sales in any month since August 2005. The median price in July was $230,000, an increase from $207,900 in July 2012. Through the first seven months of 2013, NH home sales increase 12 percent and median price rose 10 percent compared to the same seven-month period in 2012. Pending home sales – a forward-looking sales indicator – increased by 23 percent in July. There was 11 months of supply (the number of months it would take to sell the current inventory of homes) in July, down from 15 months of inventory in July 2012. Condominium sales in New Hampshire increased 25 percent. The median price of a NH condo jumped 14 percent. From January through July, condo sales increased 15 percent, the median condominium price rose 7 percent. 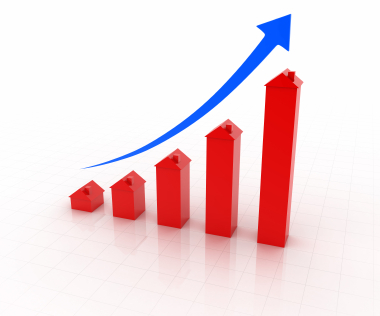 Nine of the 10 New Hampshire counties saw residential sales increases in July. Sullivan County was the only exception. Nine of 10 counties saw an increase in median prices, with only Coos County experiencing a price decline.